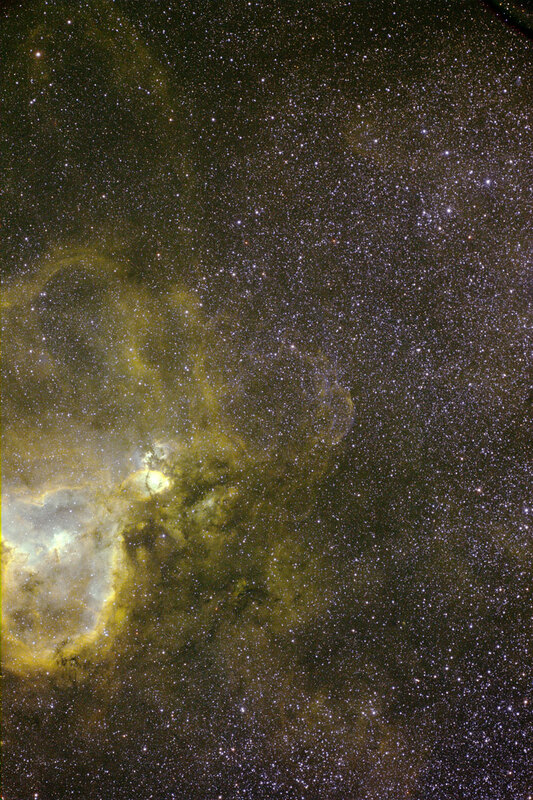 Super Nova Remnant SNR-Green G205.5+00.5 is nestled between the cone nebula Sh2-273-NGC2264 and the Rosette Nebula Sh2-274-NCG2237. 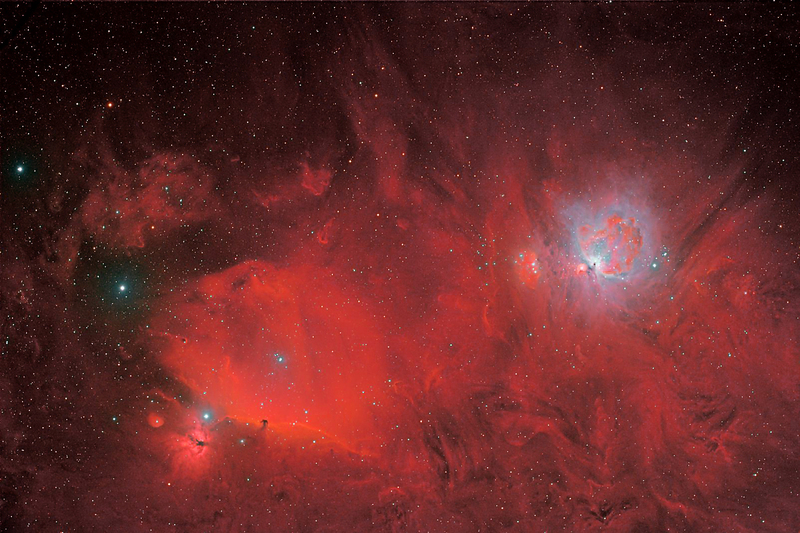 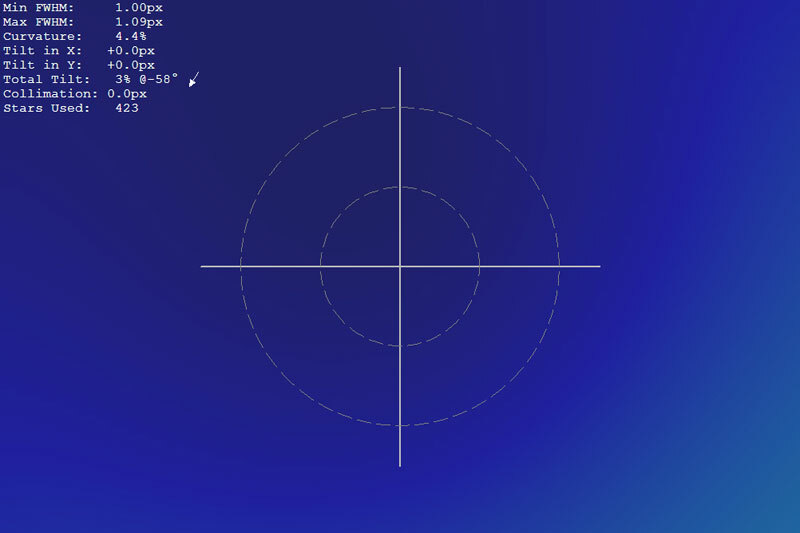 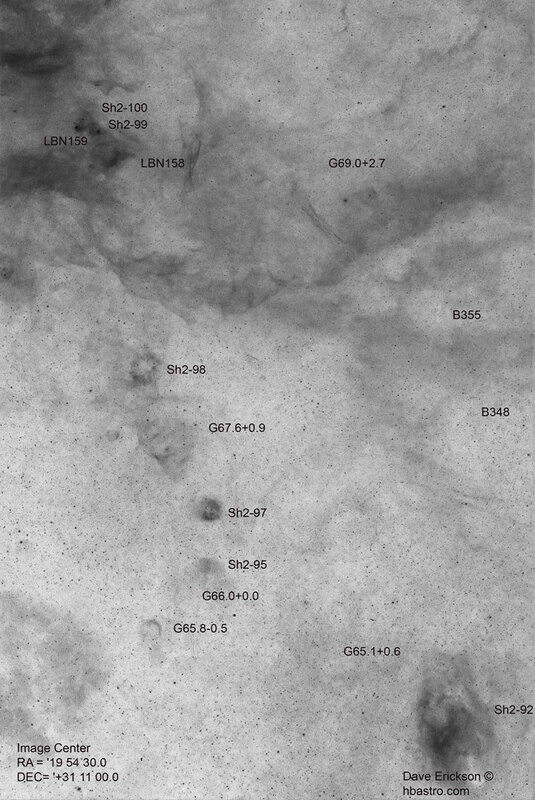 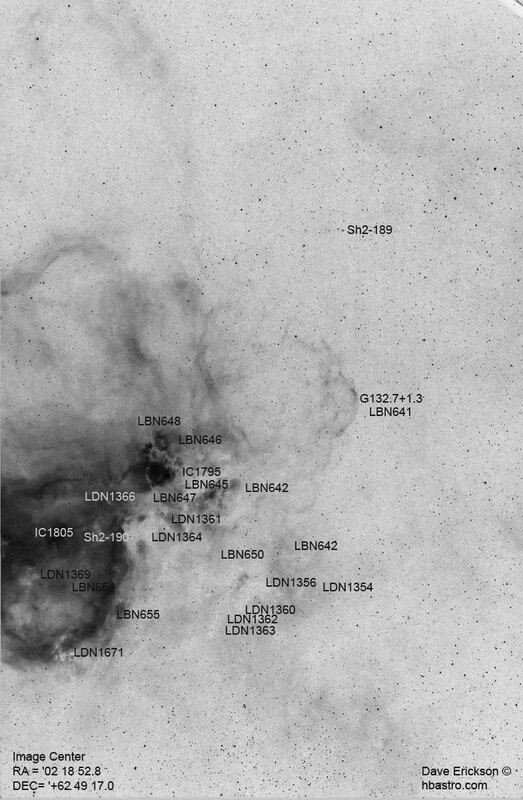 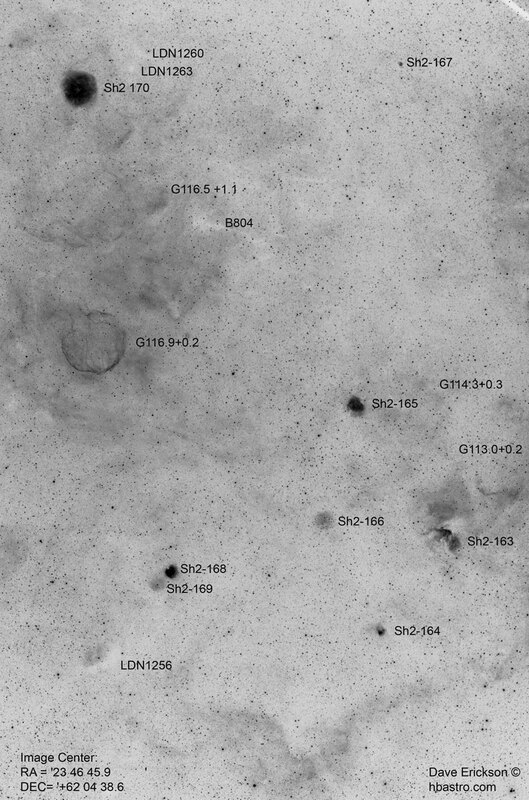 The SNR G205.5+00.5 is at RA: 06h 39m 00s Dec: +06° 30' 00" in the Constellation of Monoceros. 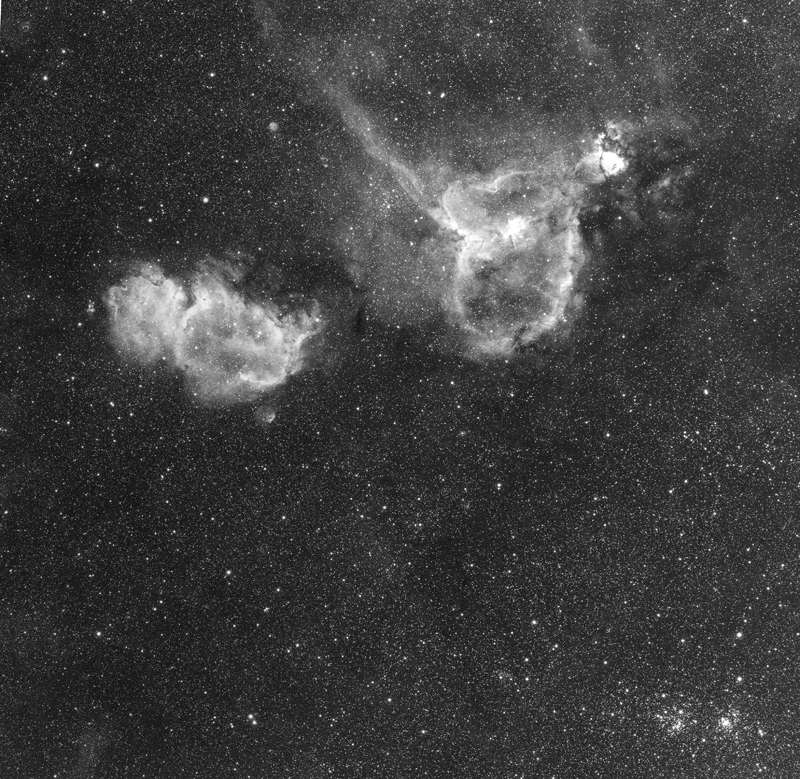 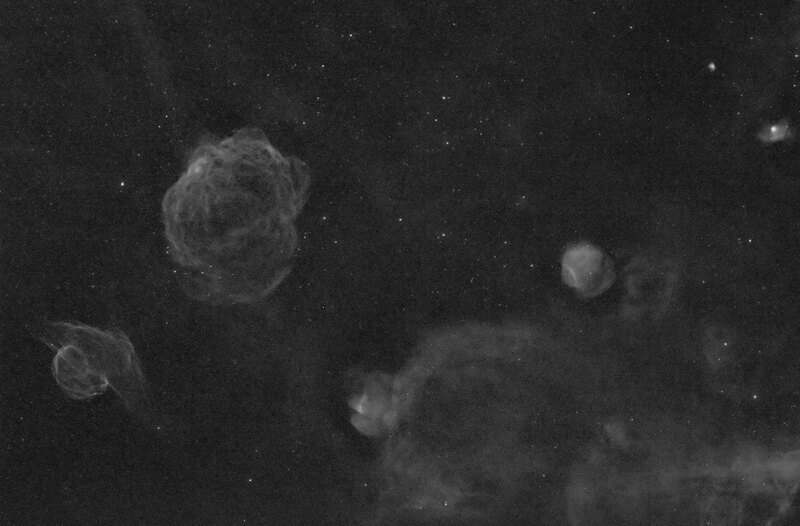 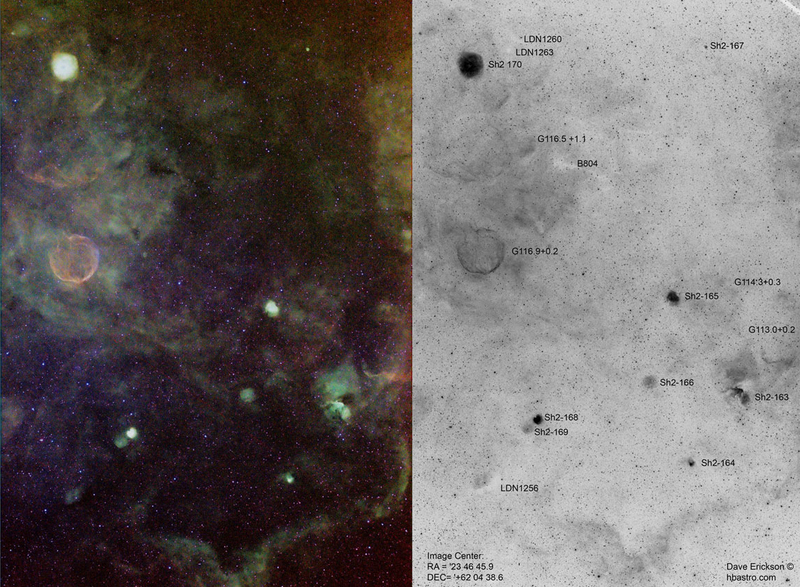 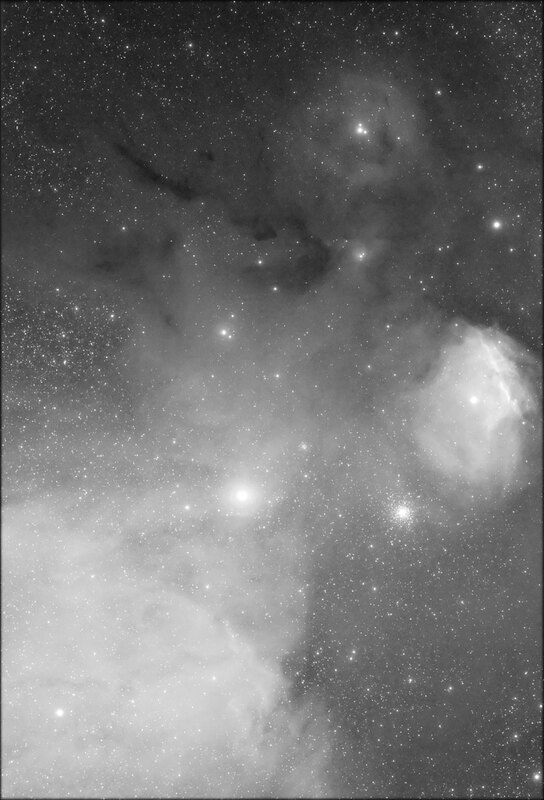 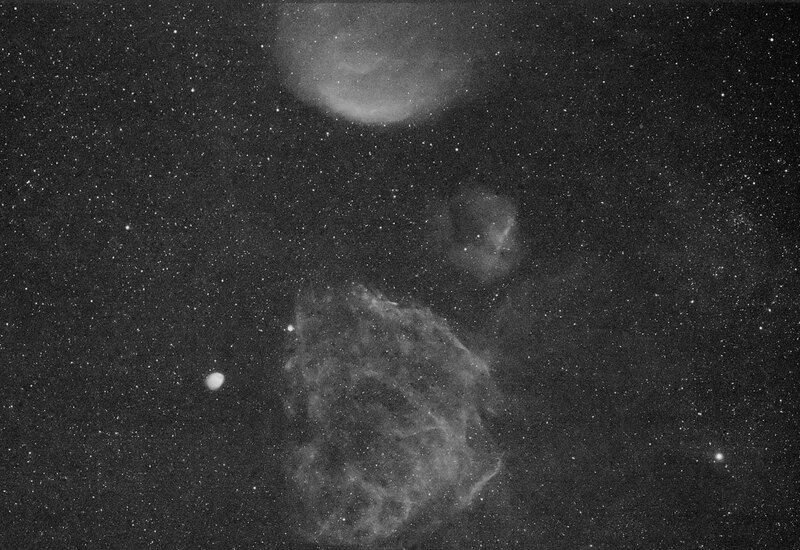 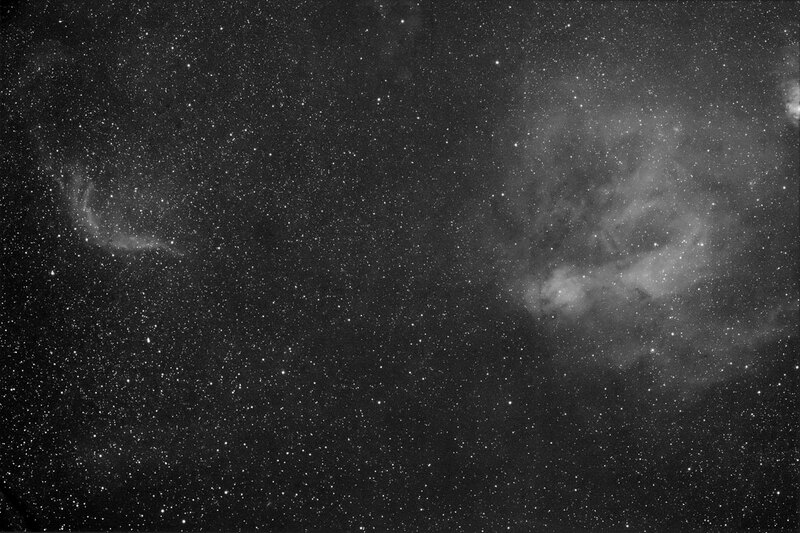 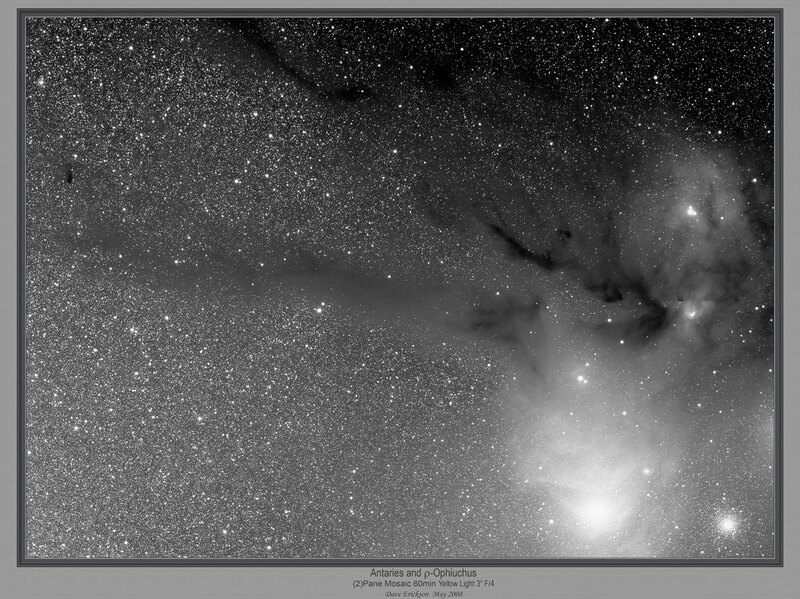 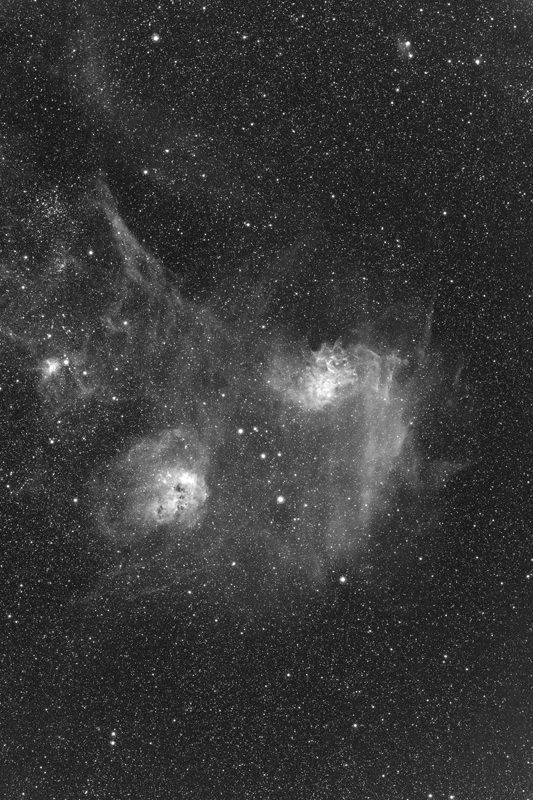 Sh2-180 and Super Nova Remnant G126.2 +1.6HAlpha. 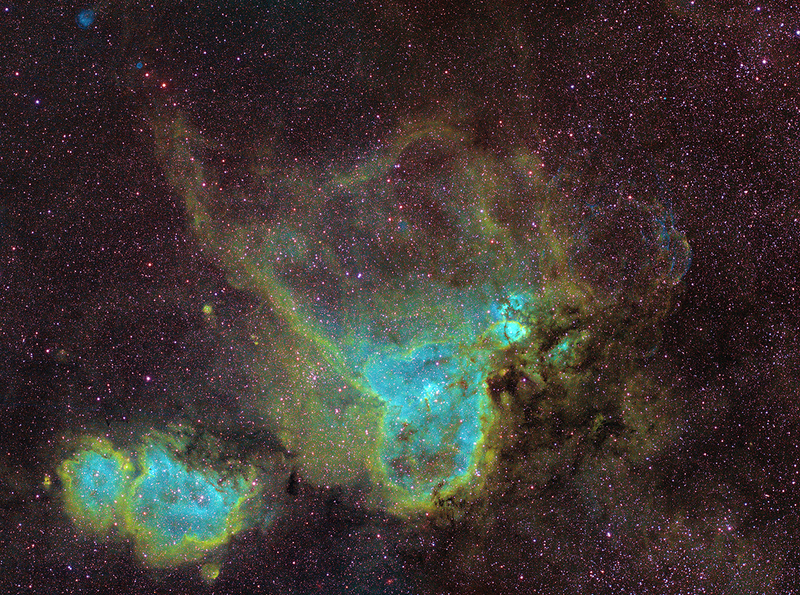 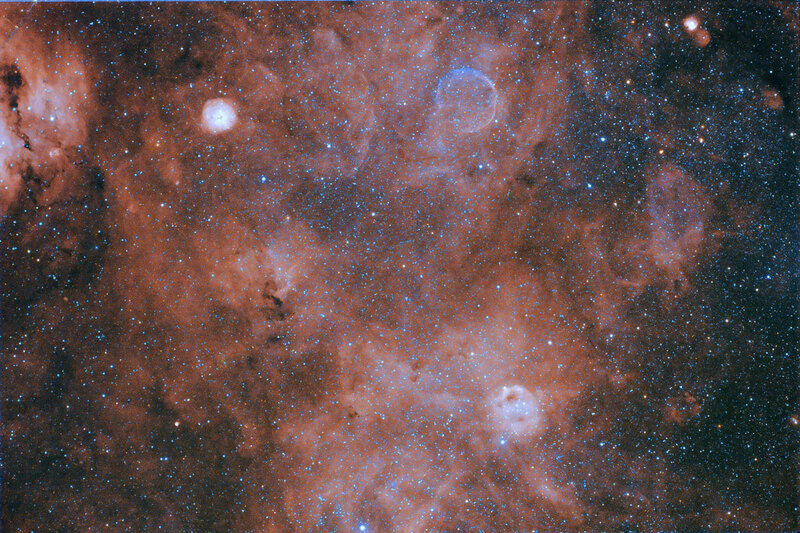 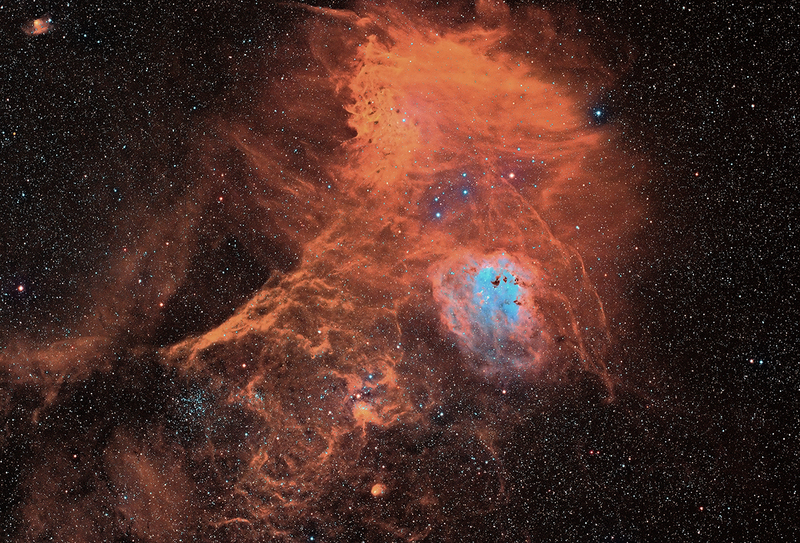 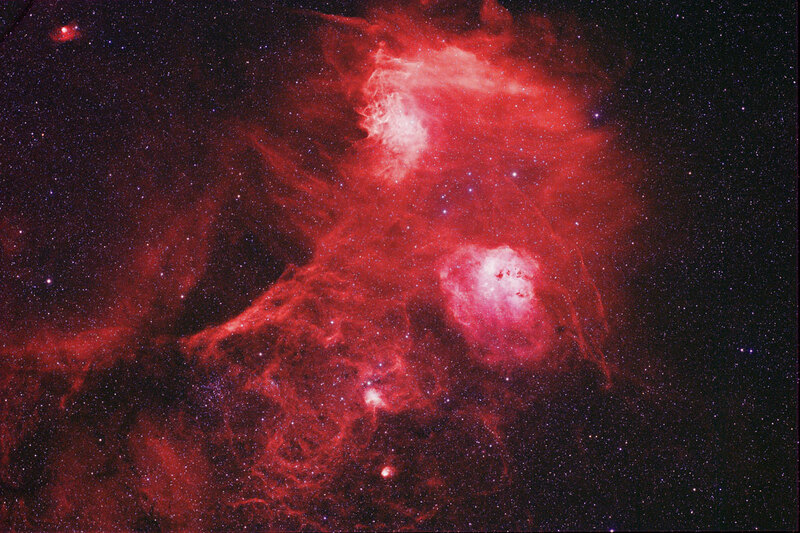 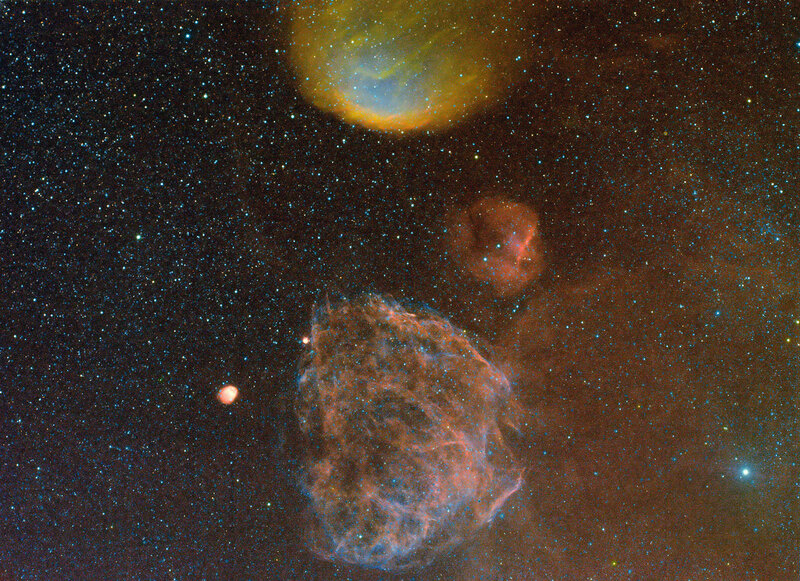 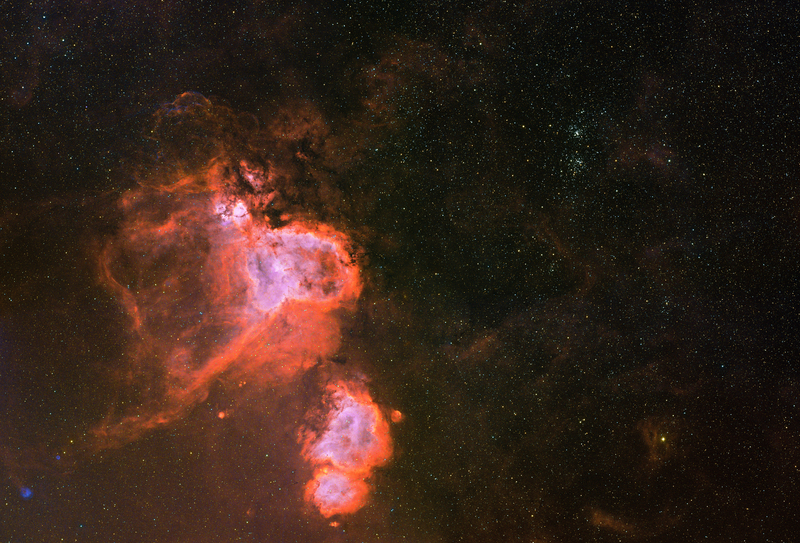 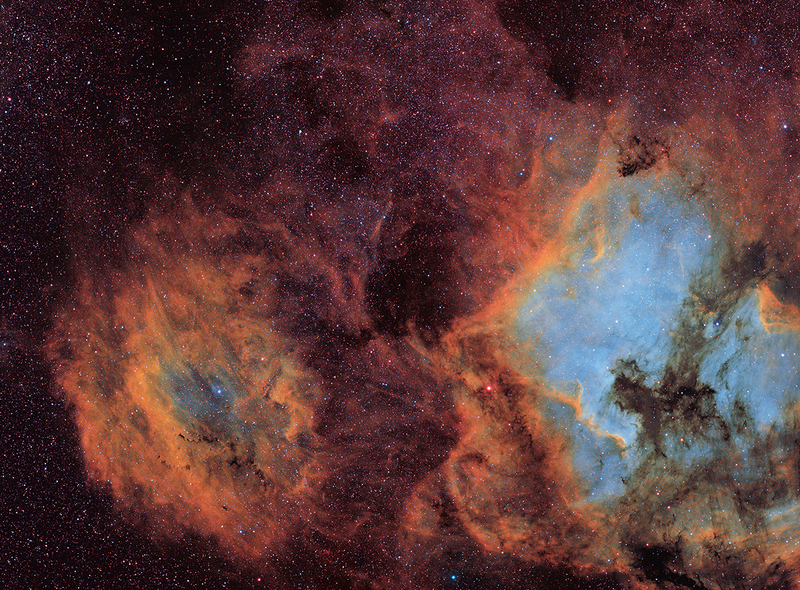 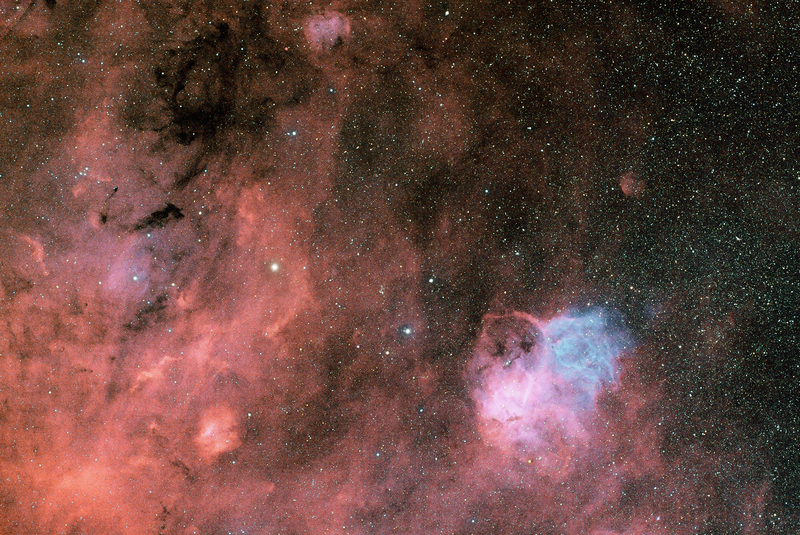 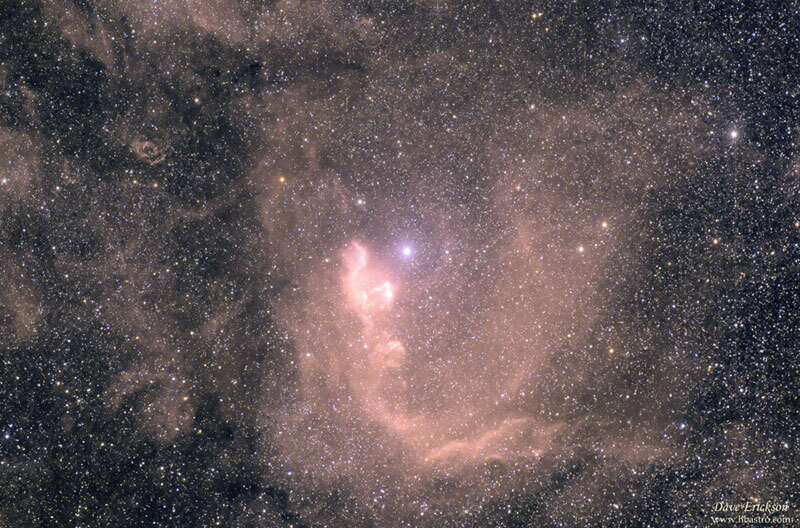 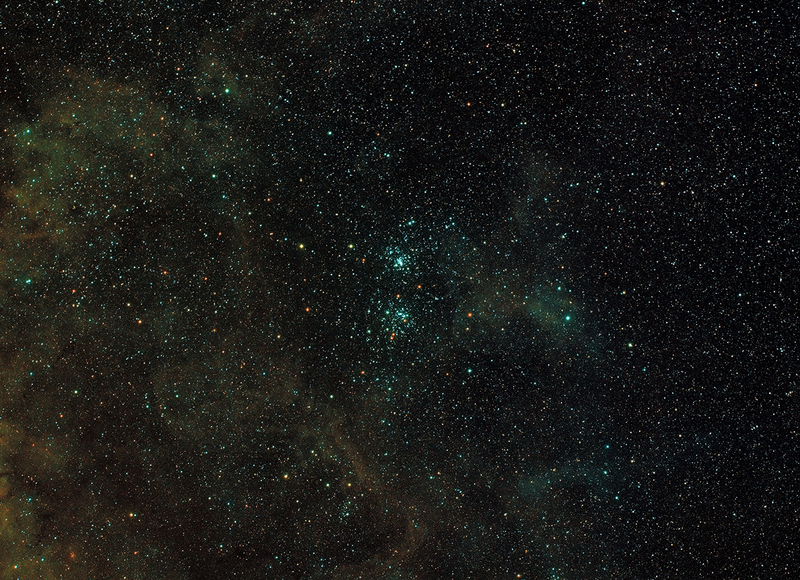 Sh2-224 and Super Nova Remnant G166.2+02.02 HAlpha. 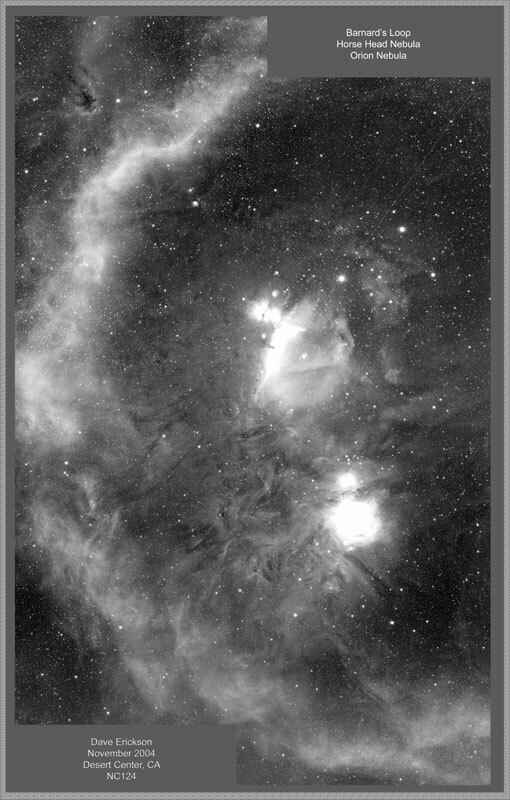 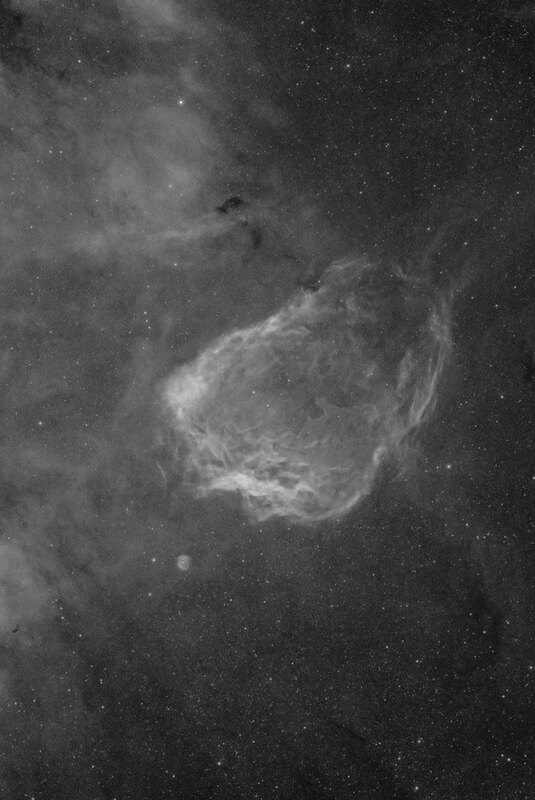 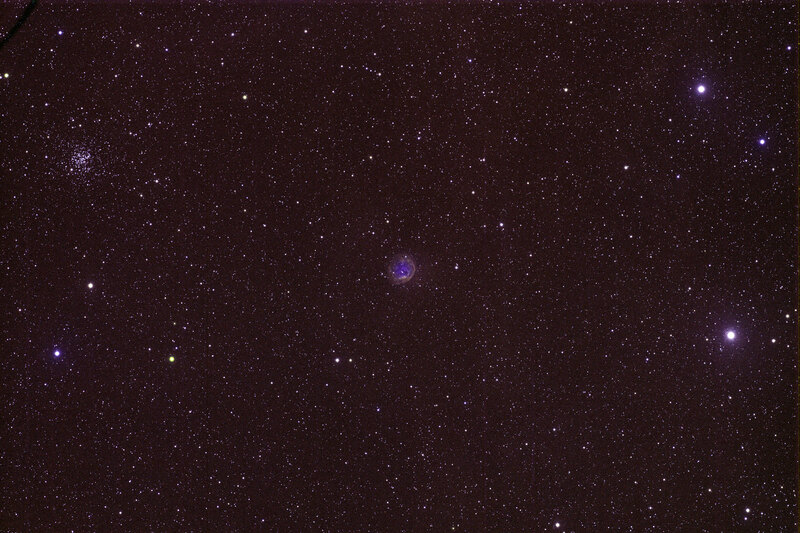 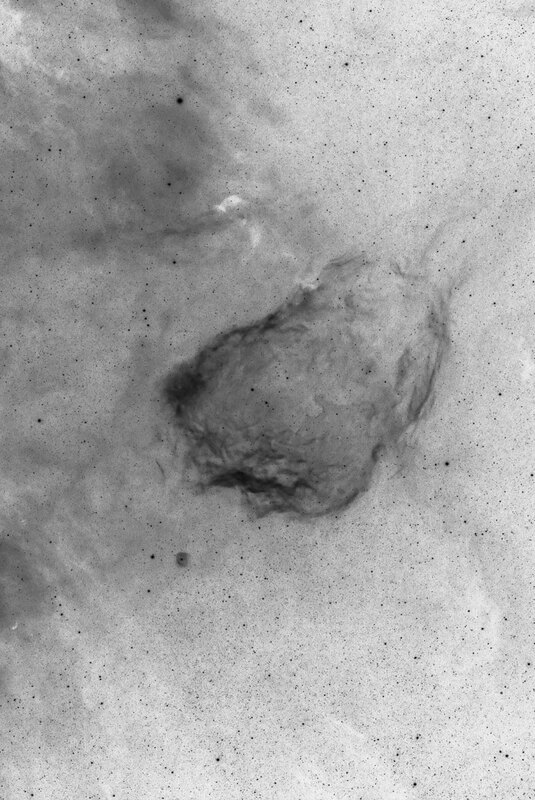 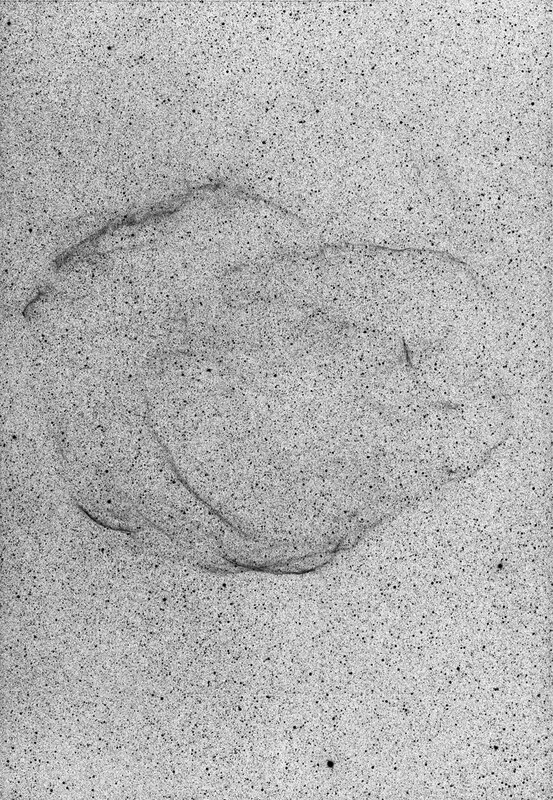 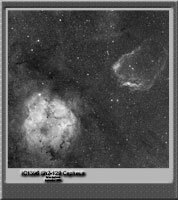 Super Nova Remnant G089.0+04.7 HB21 at 0.8kpc. 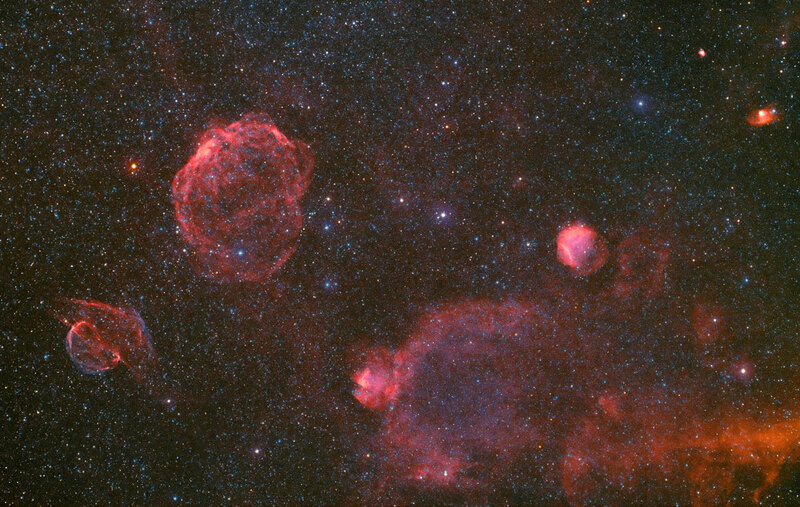 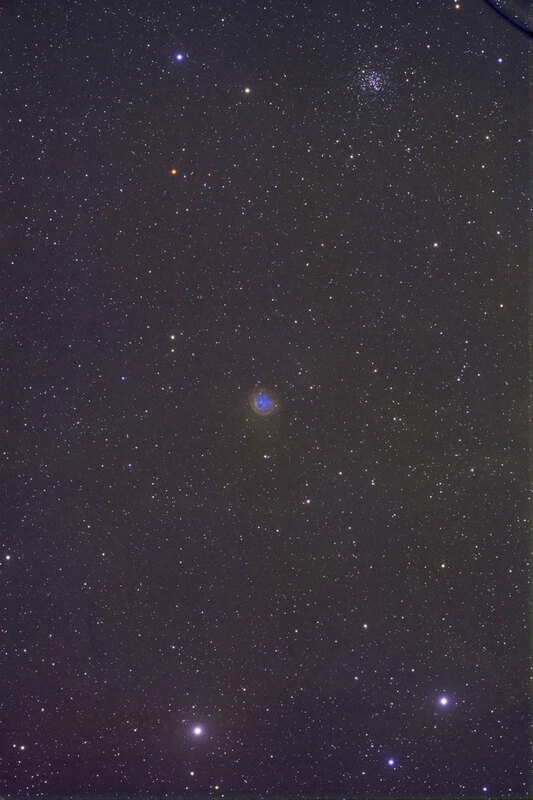 Super Nova Remnant G82.2 +5.3. 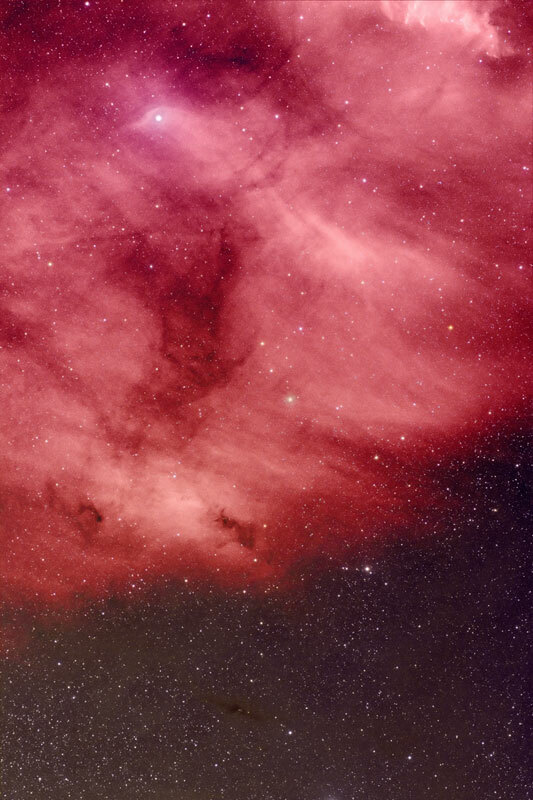 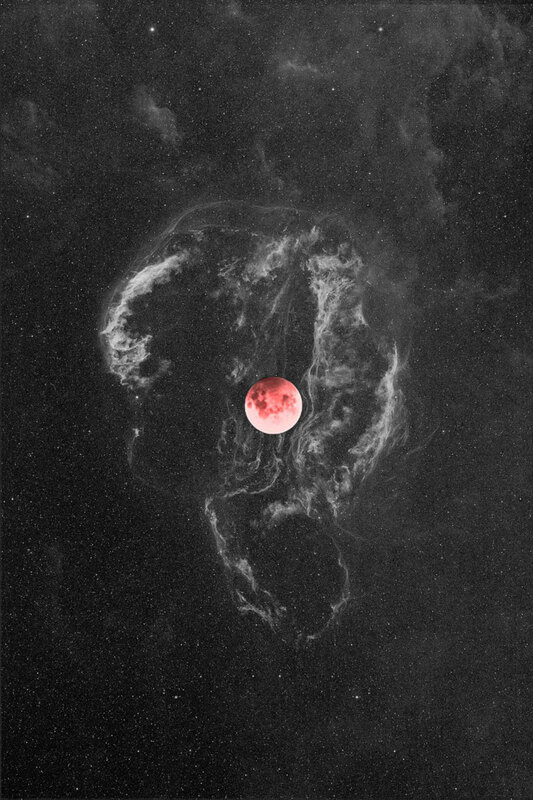 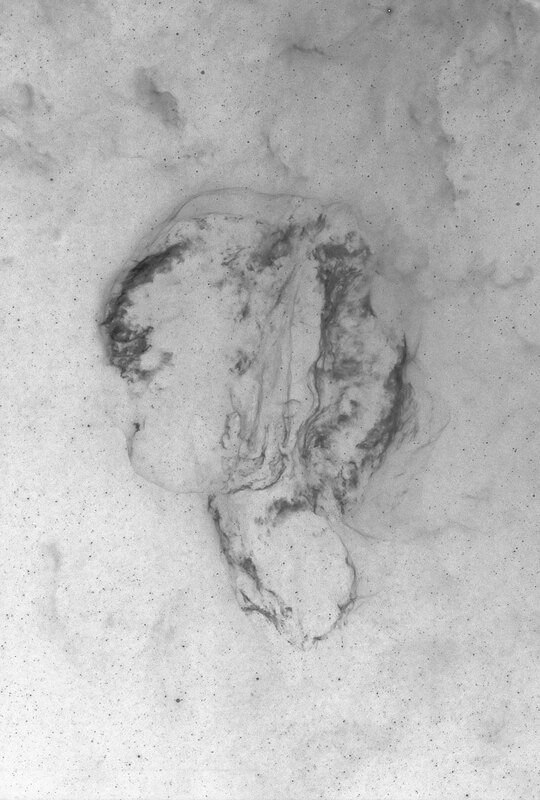 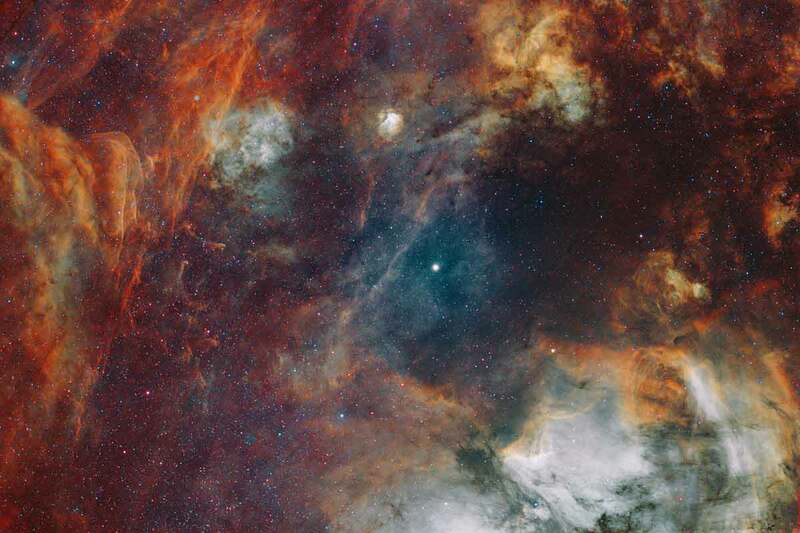 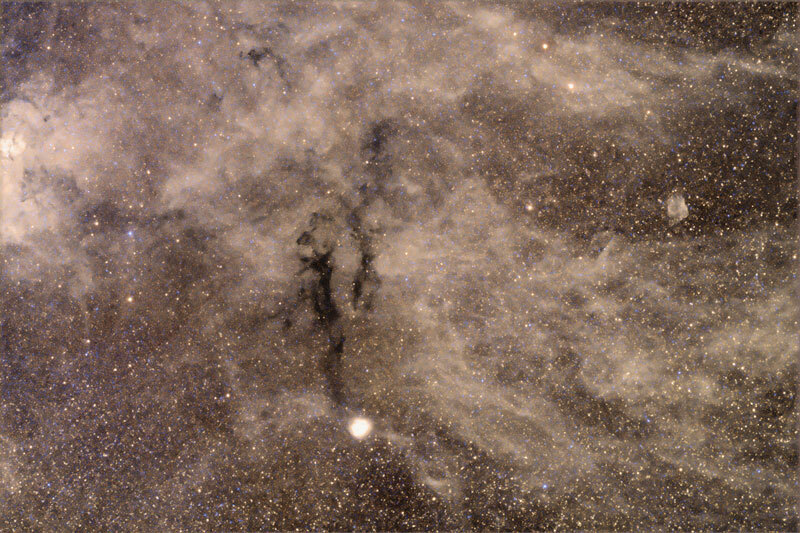 No there wasn't a lunar eclipse in Cygnus. 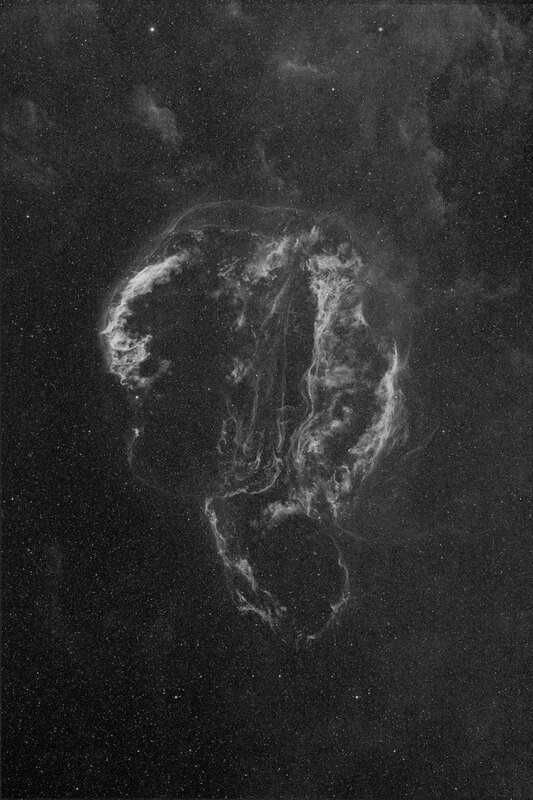 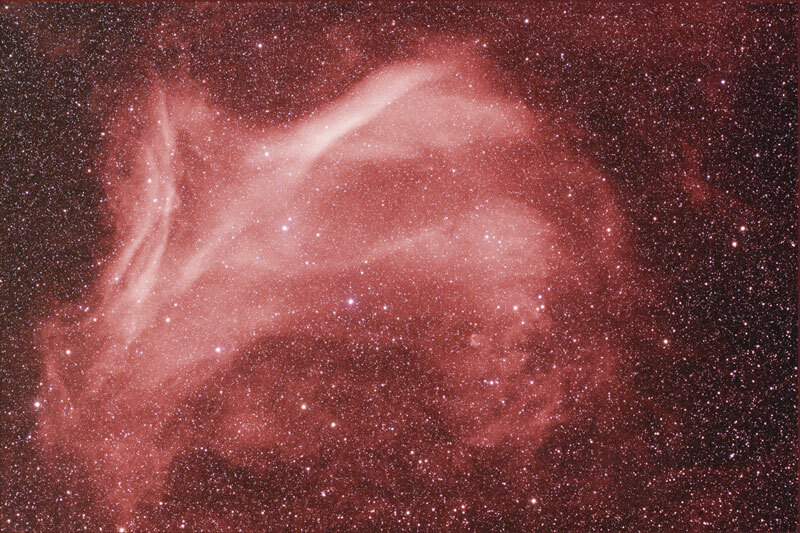 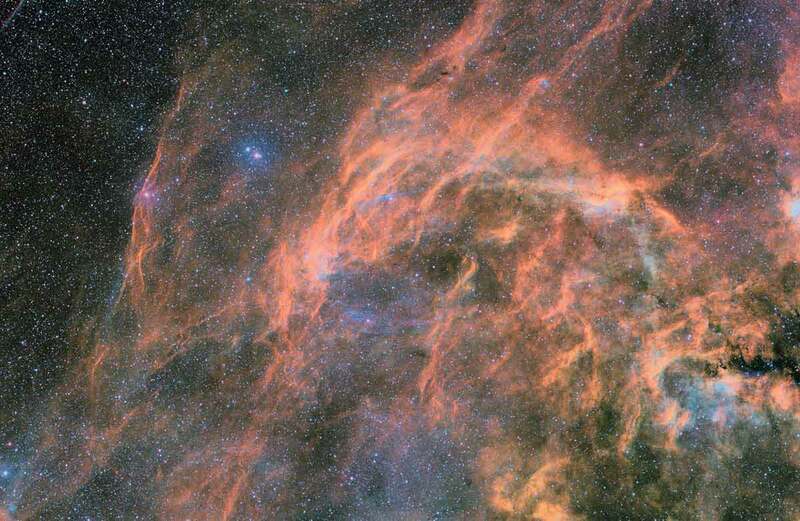 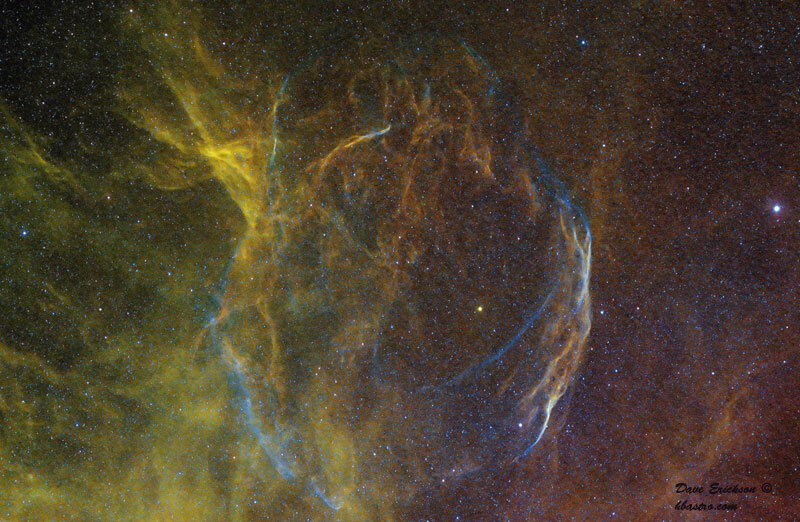 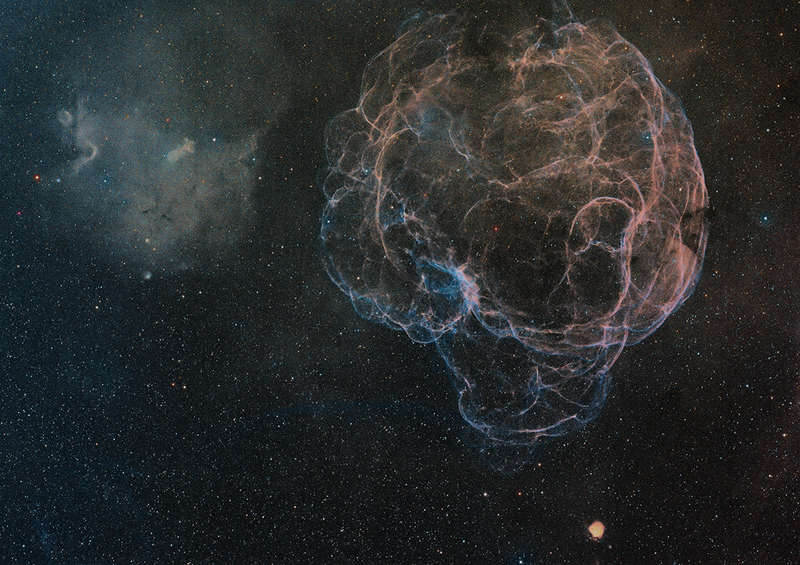 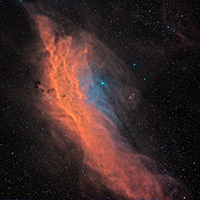 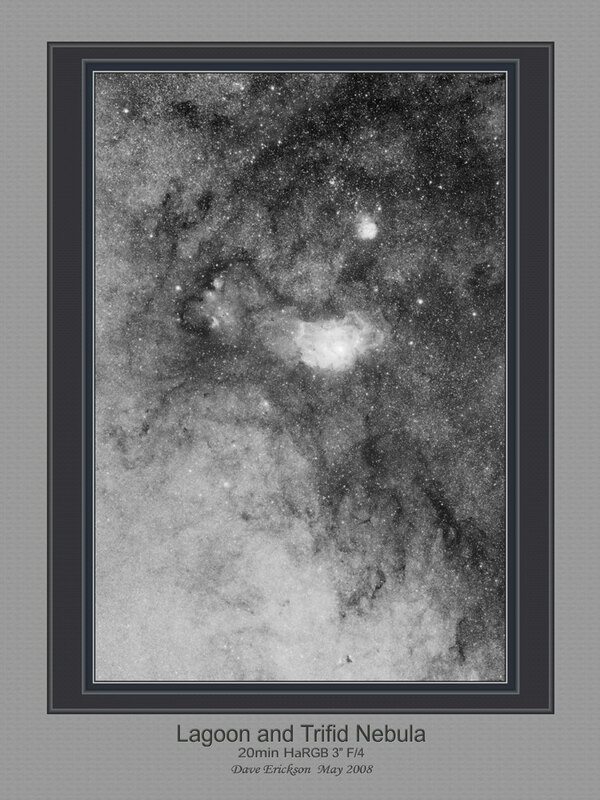 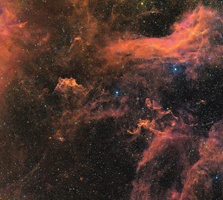 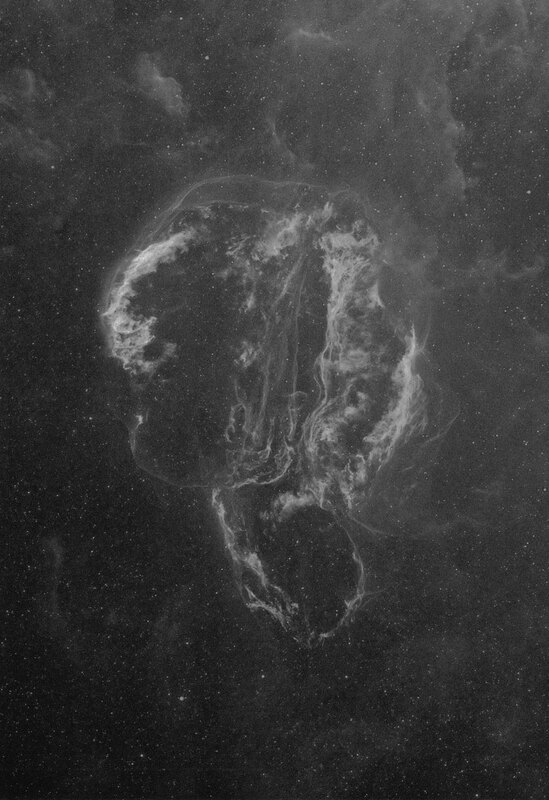 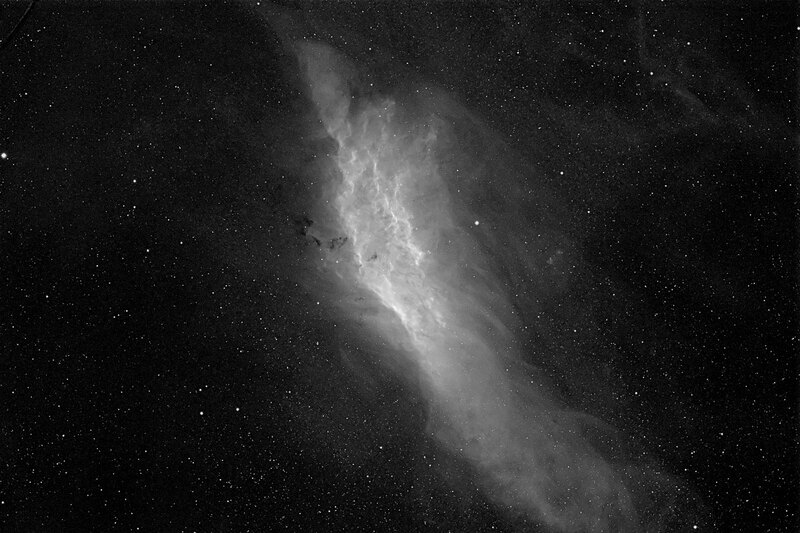 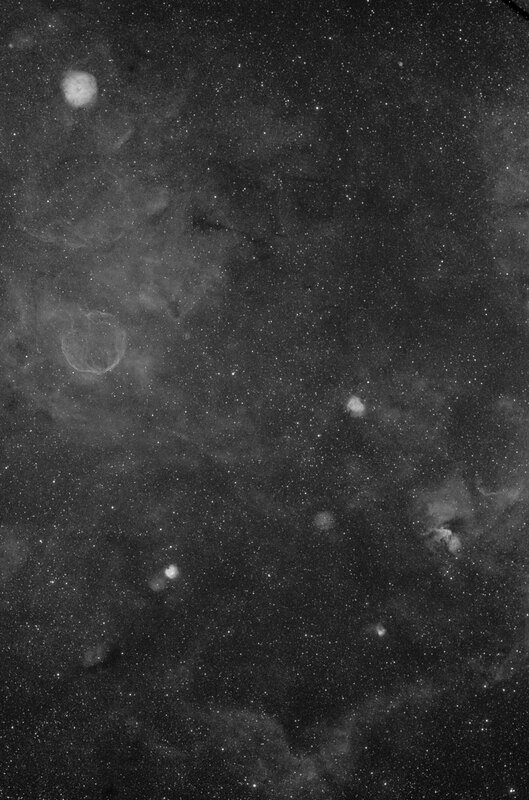 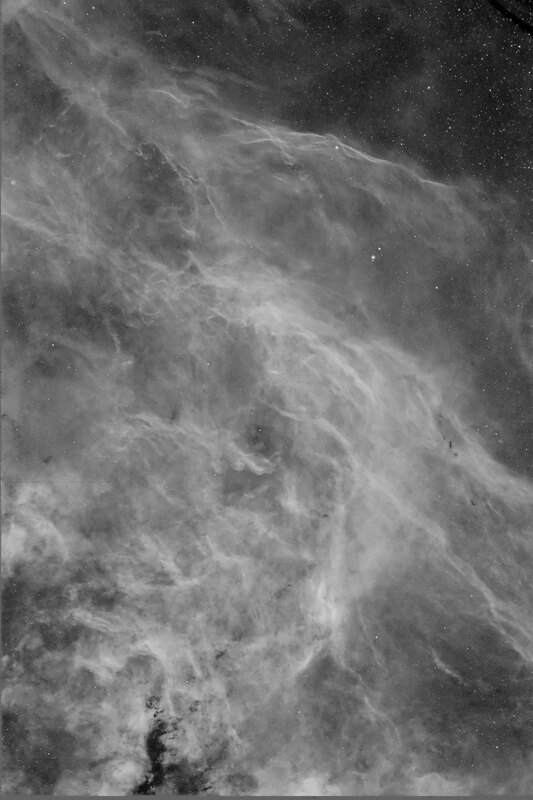 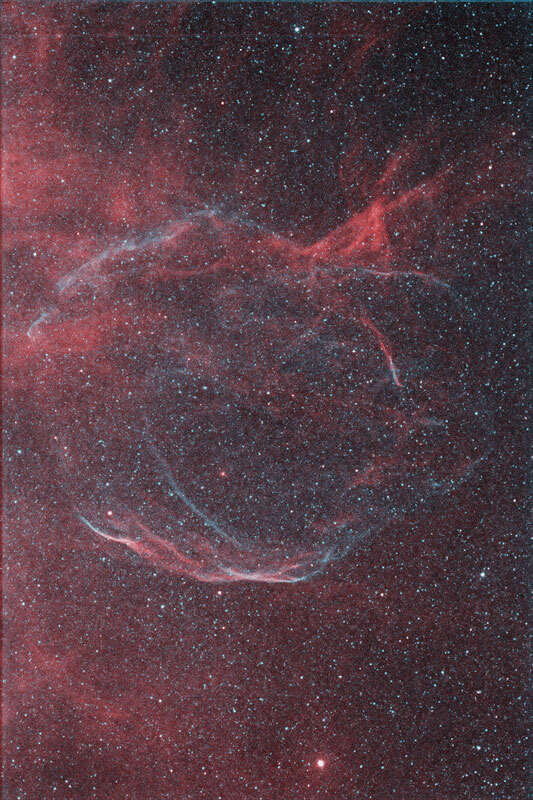 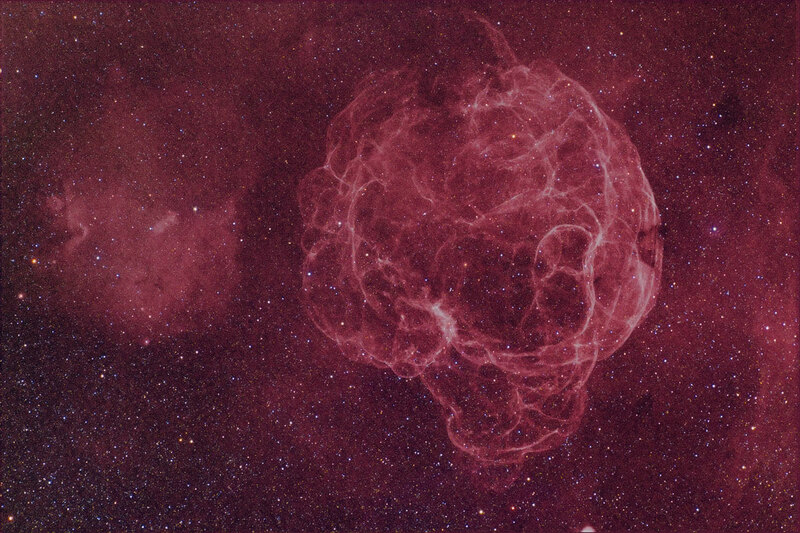 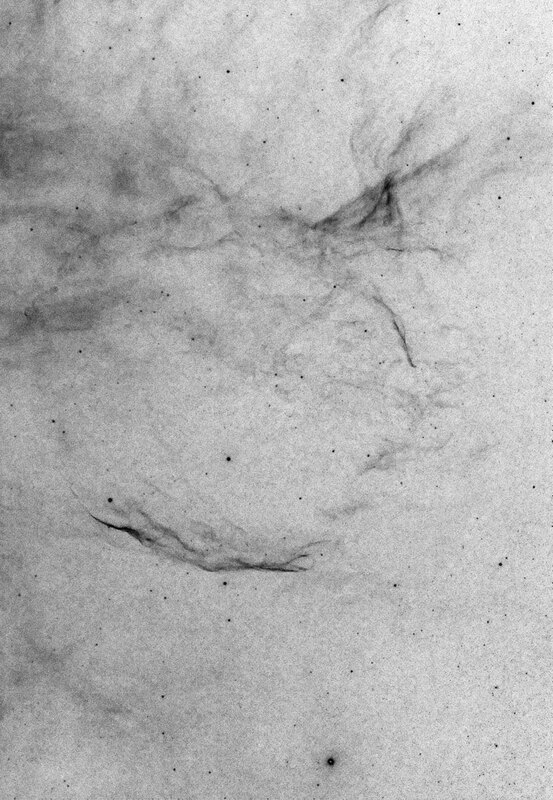 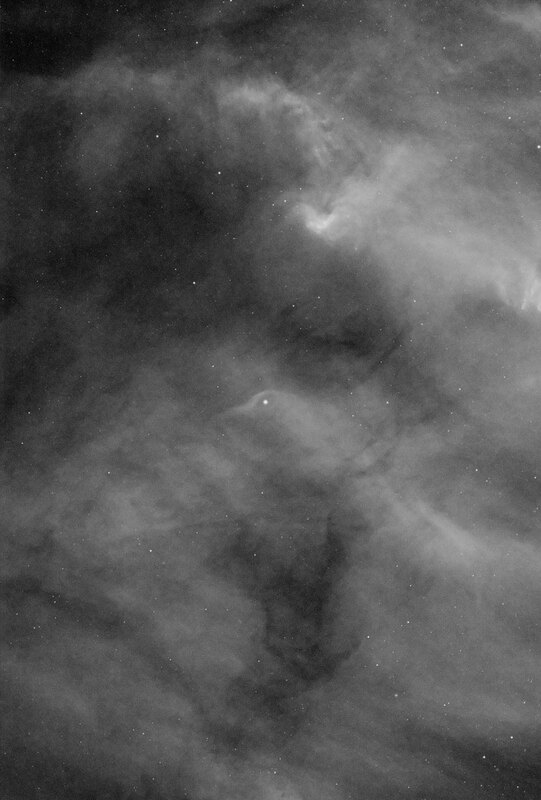 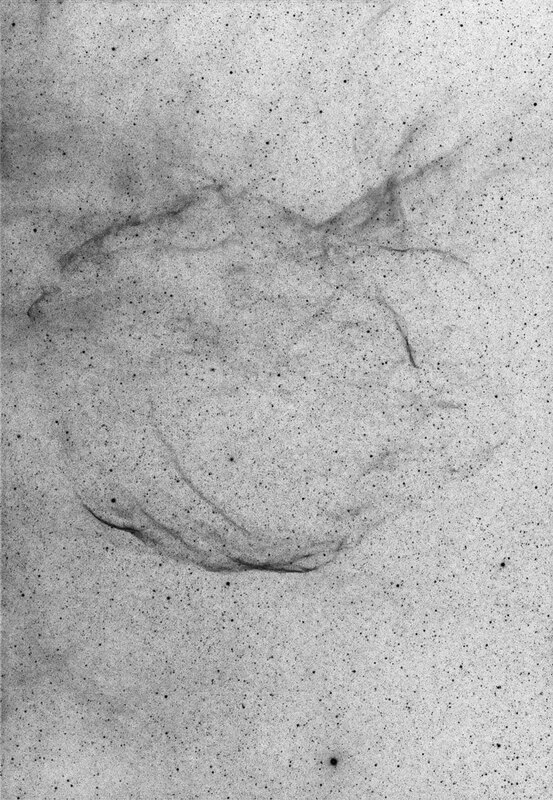 But the Veil Nebula is that big! 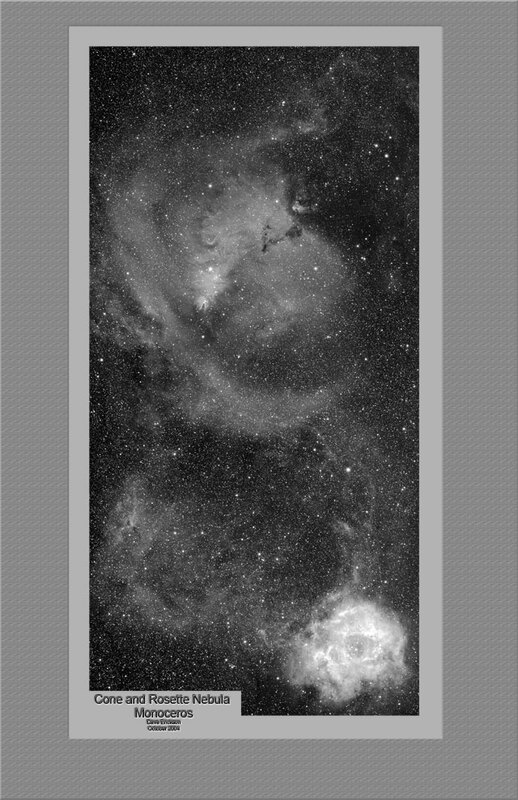 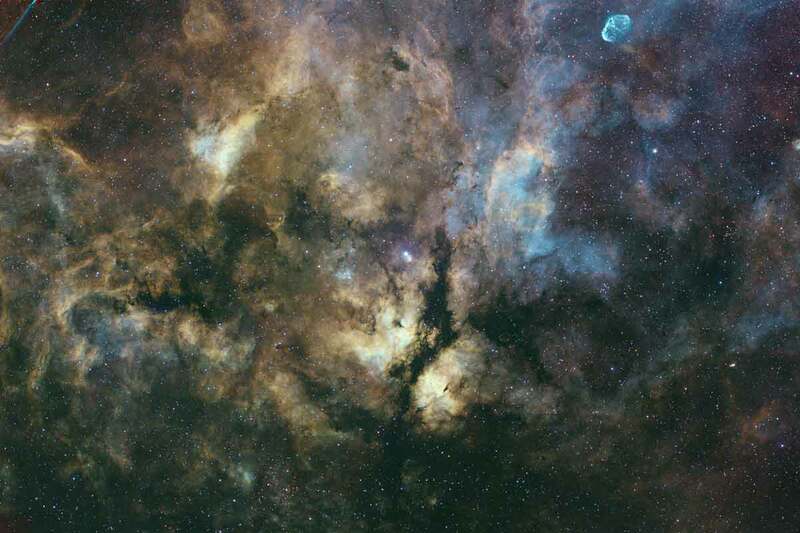 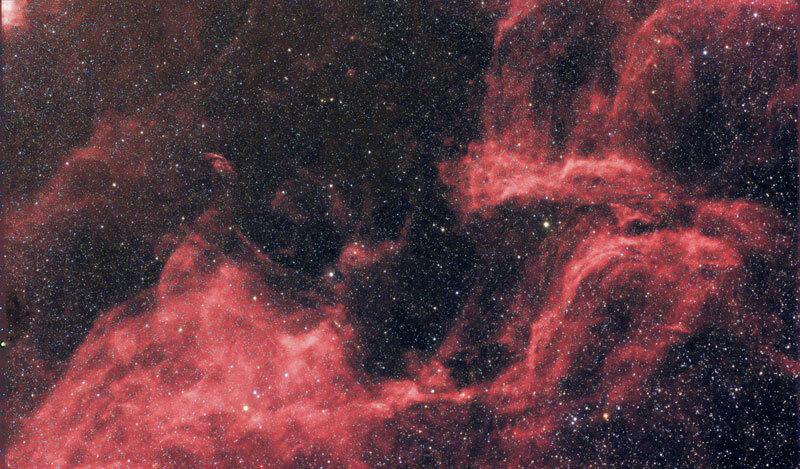 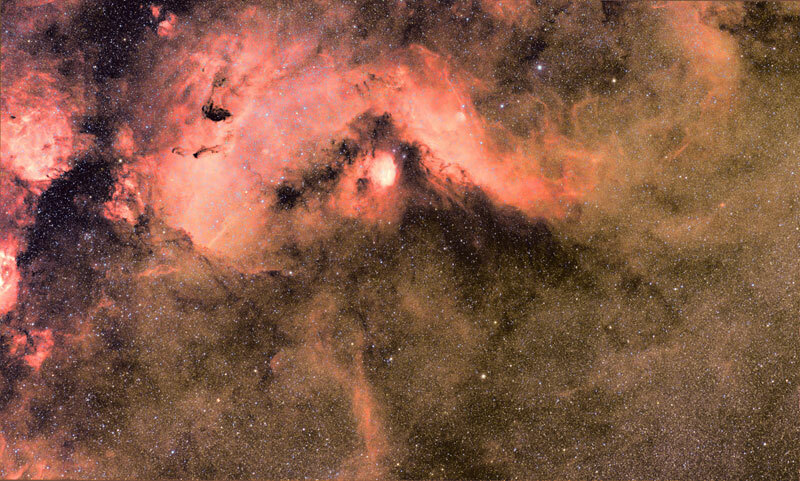 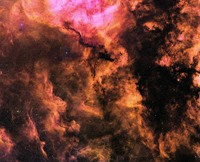 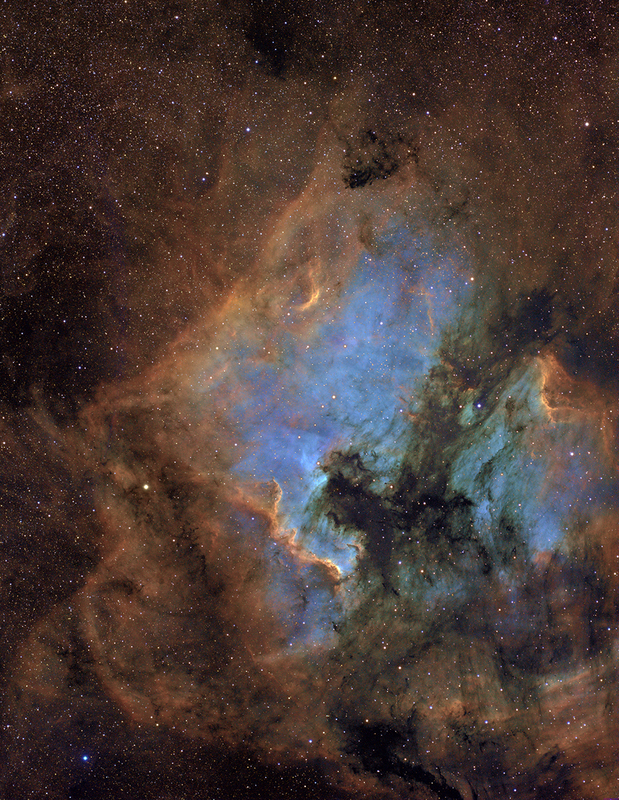 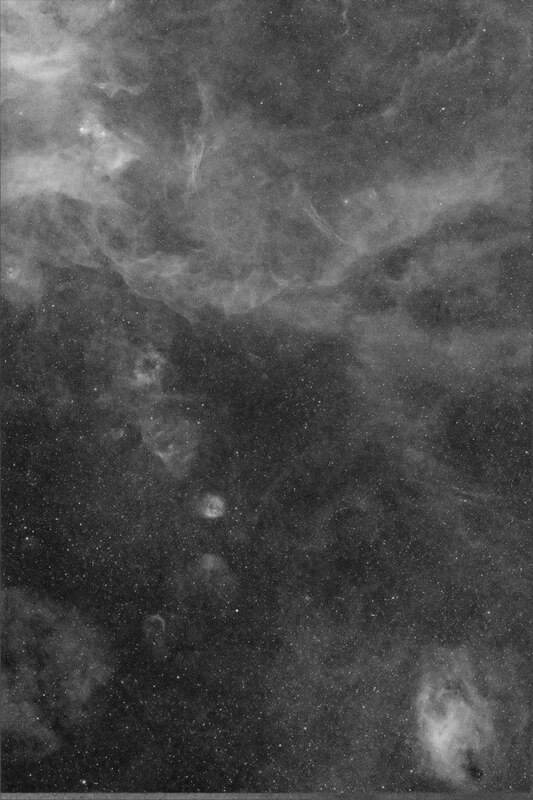 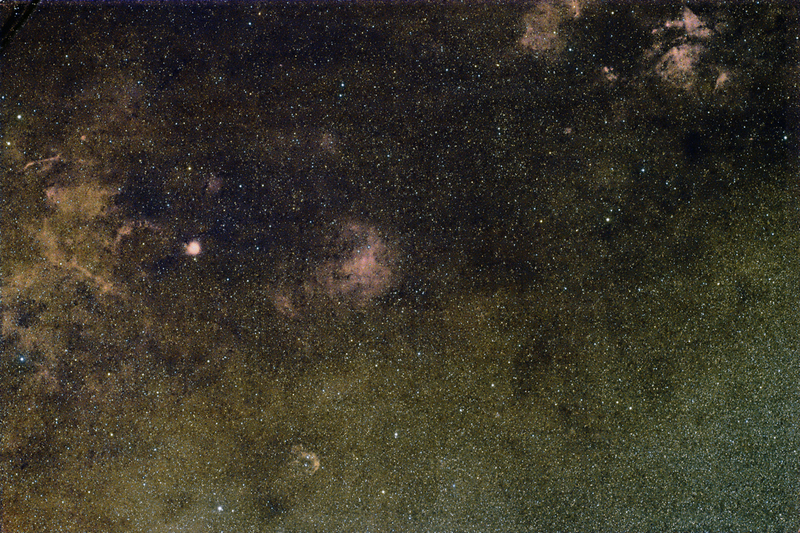 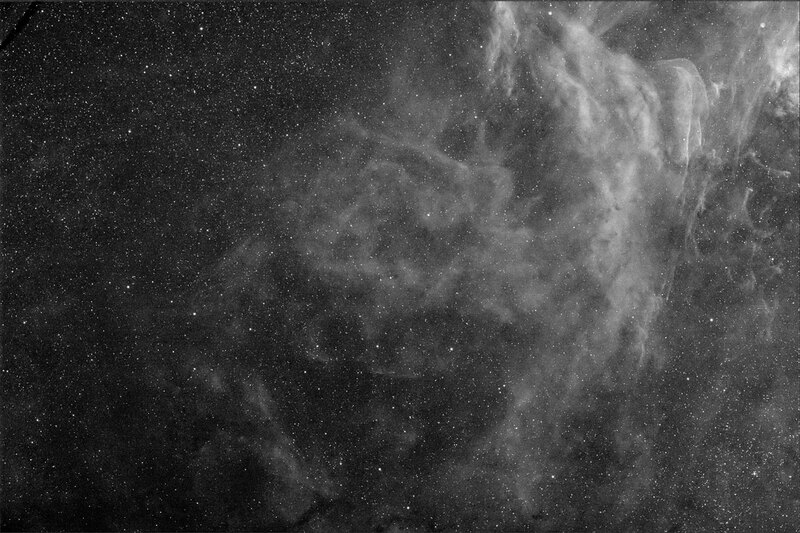 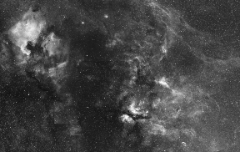 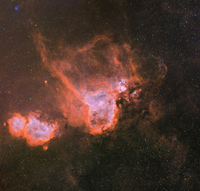 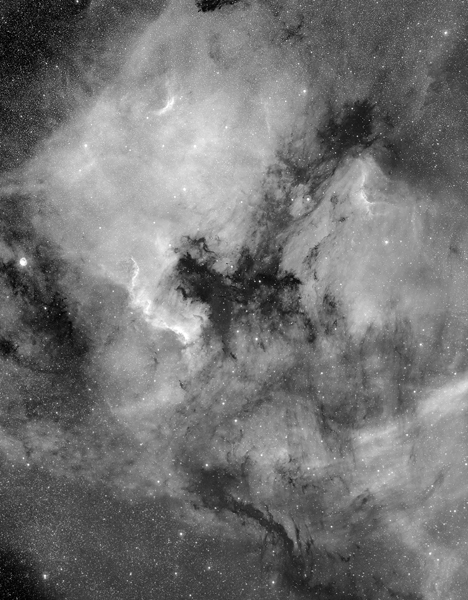 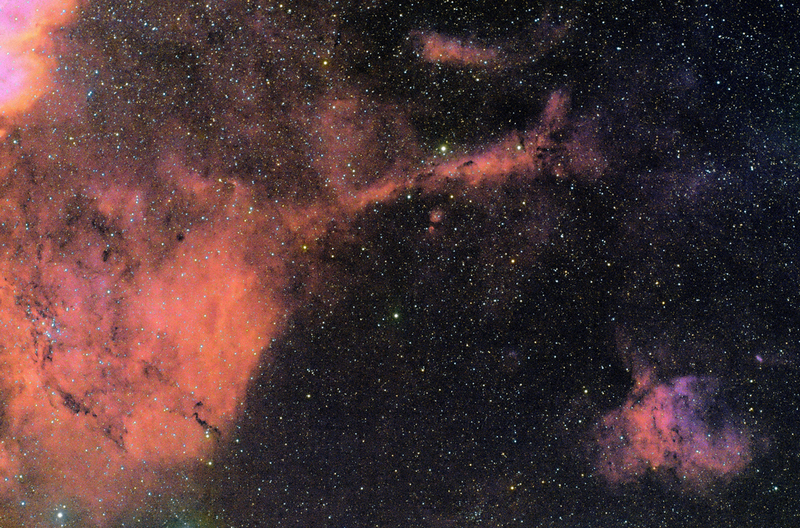 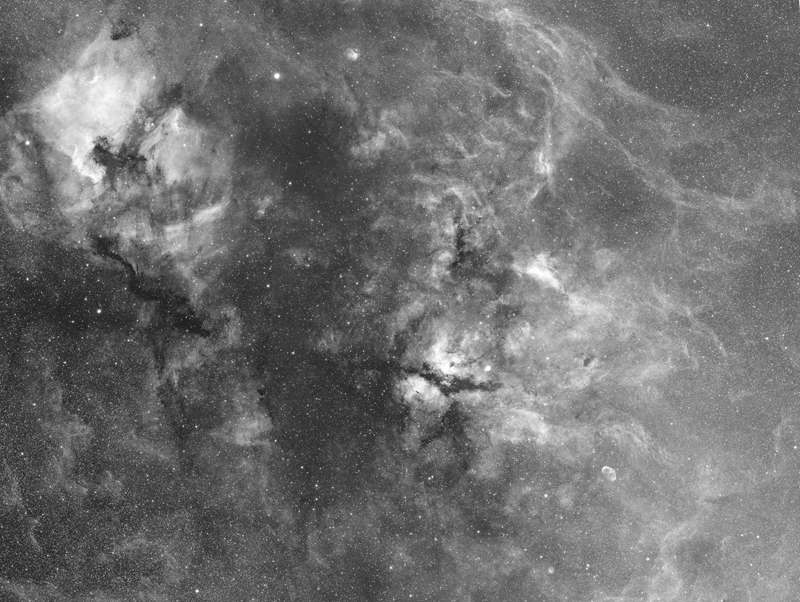 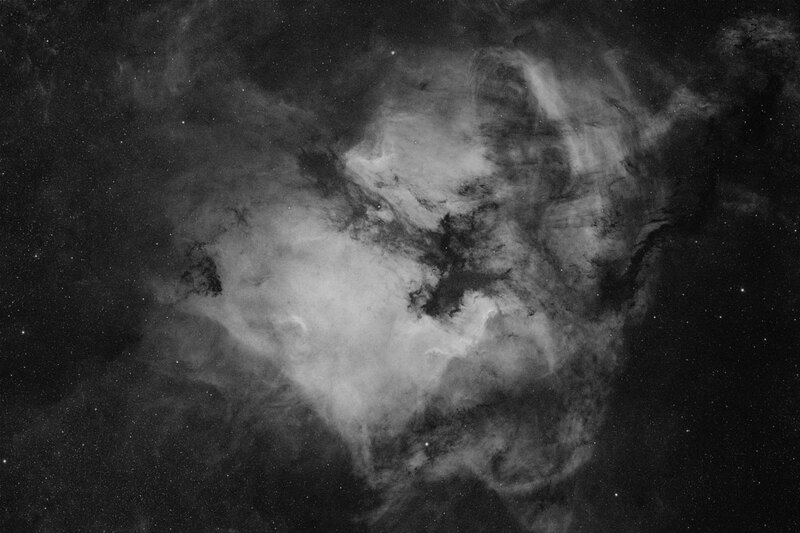 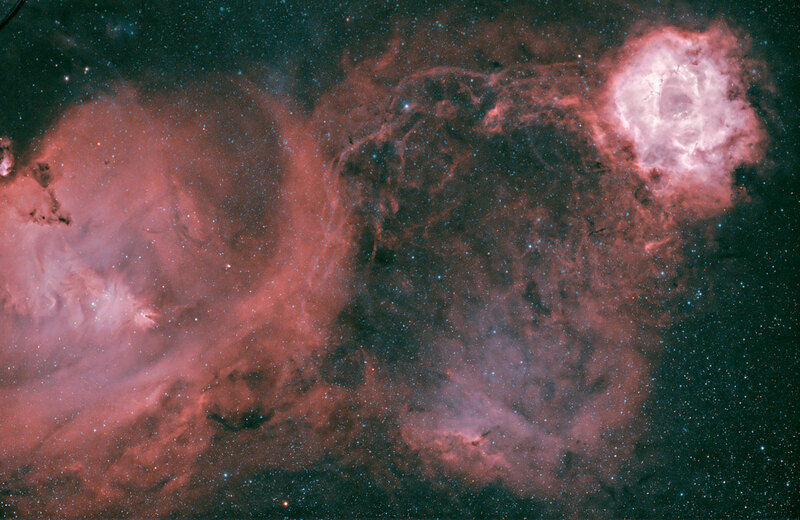 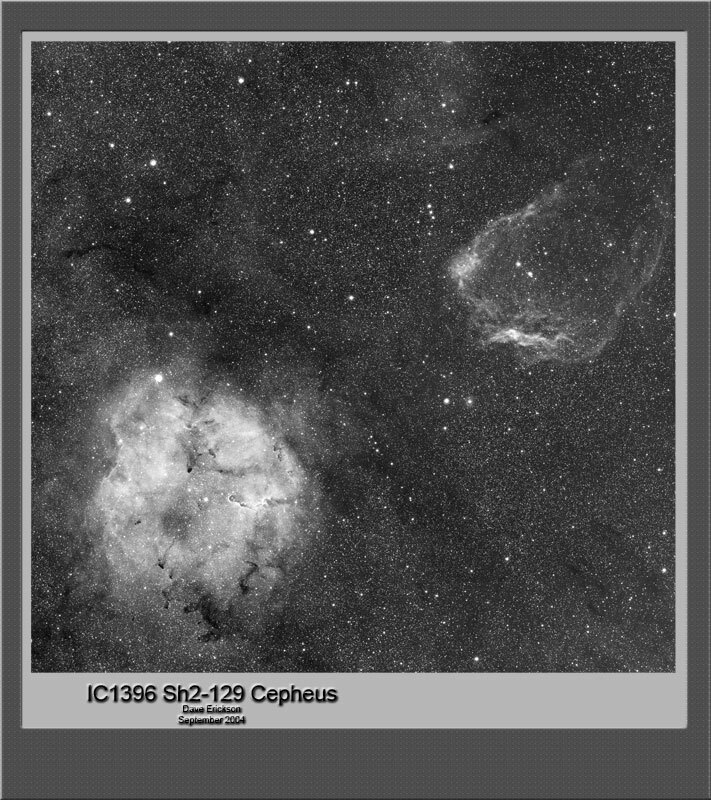 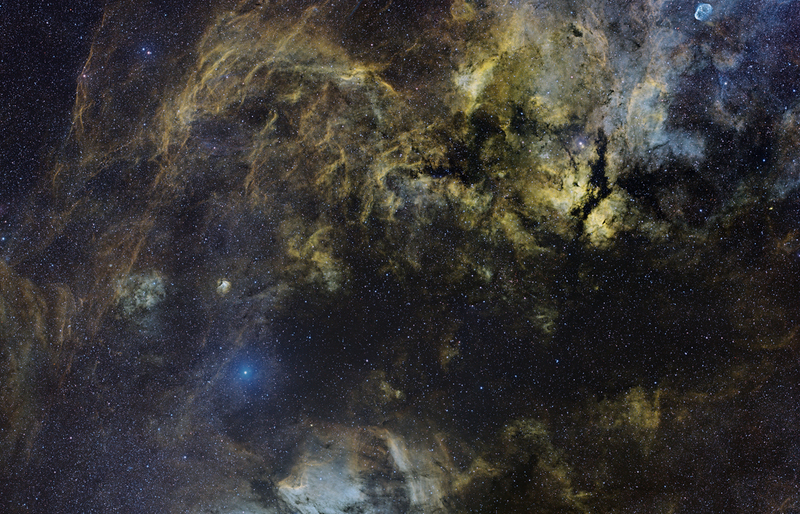 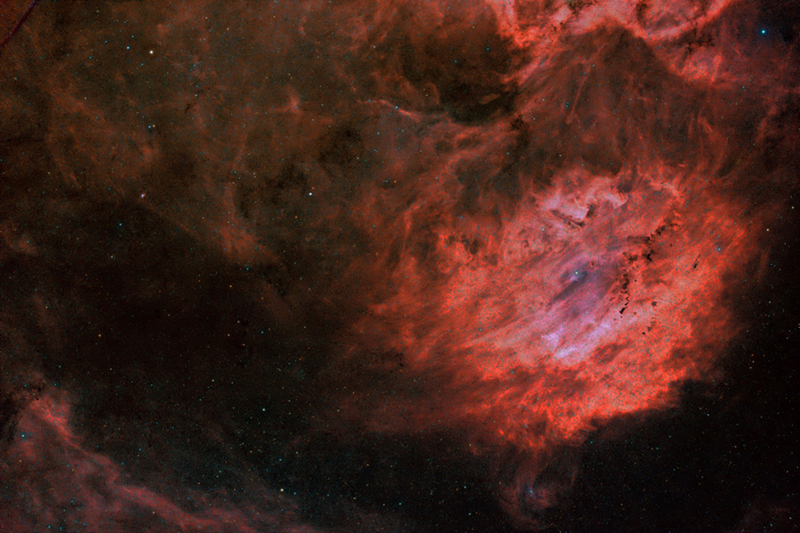 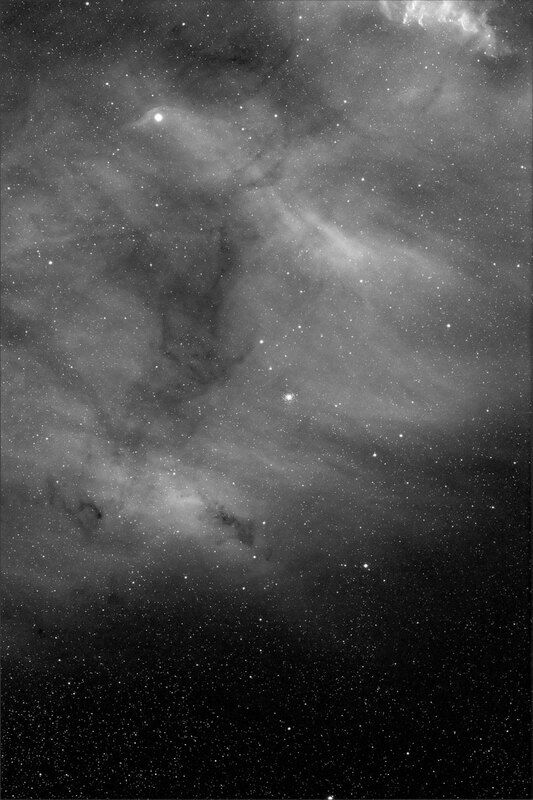 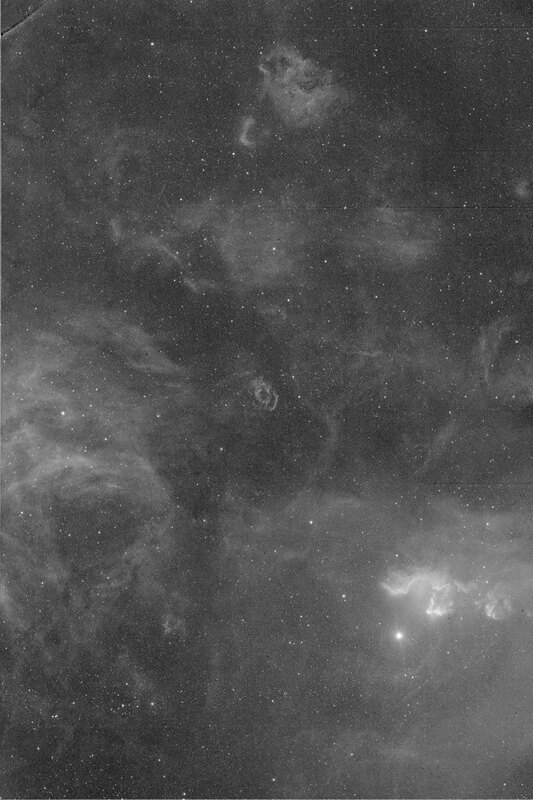 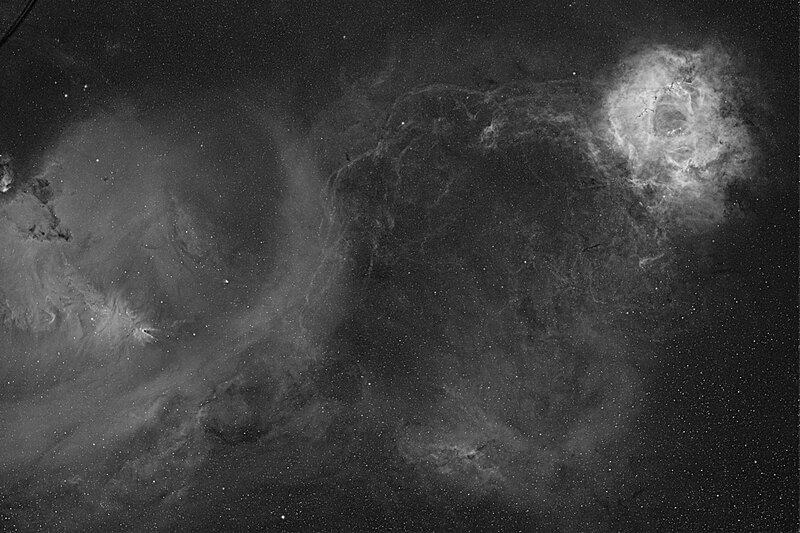 Cygnus Mosaic Prints well at 30"x40"